The Kepler space telescope has been finding planets orbiting other stars for a while now, finding 2,712 candidates and 851 confirmed planets. While many of these planets are Neptune sized and above, the number of approximately Earth sized planets in their star’s habitable zones have been increasing. 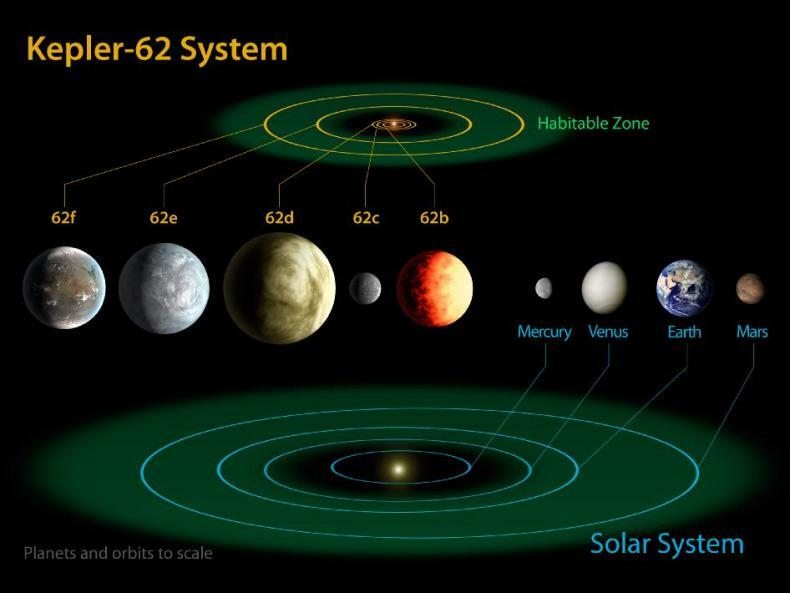 This week, 3 more Earth sized planets have been found in the habitable zones around 2 Stars. 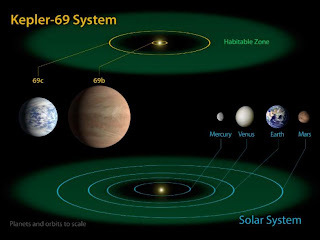 One star, Kepler-62, has 2 Earth sized planets named Kepler-62e and Kepler-62f and the Star Kepler-69 has another Earth sized planet named Kepler-69c. These three planets join 8 more planets that are of reasonable size and located in the habitable zones of their stars. 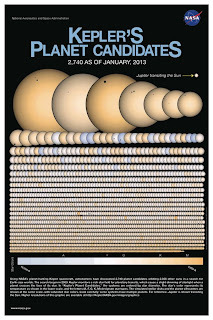 Kepler-62e is now tied with the unconfirmed Gliese 581g as the most Earthlike planet that has been found to date. As more and more planets are found, we are continually reworking our understanding of what kinds of planets are likely to be found in other solar systems. All three of these planets are larger than the Earth, ranging between 1.41 and 1.71 Earth radii. At this size, it is quite possible that these planets are rocky, Earth-like places to live. It is also possible that they are ocean worlds with little to no land available, although no ocean world has even been confirmed. Although these are some of the smallest planets ever found in the habitable zone, they are located 1,200 and 2,700 light years away – making a visit sometime in the near future unlikely with today’s technology. 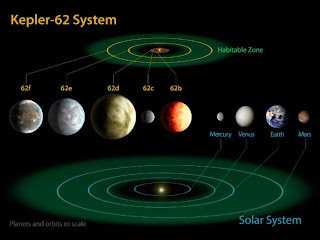 Now that the number of small planets in habitable zones discovered is increasing, it seems more and more like the Earth is far less of a special place and more of a common occurrence in the galaxy. Who knows, with more planets being able to host life like ours, we may eventually find out that life itself is far more common than previously thought. Yep, we keep finding more and more planets. It doesn’t seem like this type of news will ever cease and perhaps it won’t. Scientists are estimating huge amounts of planets to be possibly habitable, 100 billion in the Milky Way and 50 sextillion in the universe. 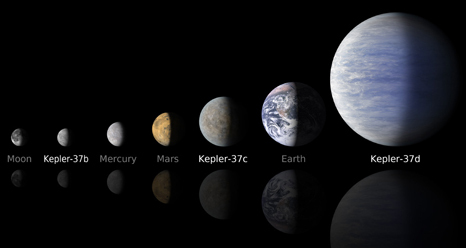 We find planets near our closest stars and we have found planets around other stars that are smaller than the Moon. Even the atmospheres of these planets around other stars are being investigated so that we can find out what these planets are like. It may be most interesting to realize that this is our first generation of planet detecting equipment, techniques, and we are only focused on a small portion of the sky. The future will provide equipment that may much more easily find small planets or even moons around larger planets. One thing is for sure, eventually we will find another planet in our galaxy that we will be able to live on.